Through Bukas Loob sa Diyos, a long-time partner and friend of GK, Solaire Resorts & Casino was able to discover Gawad Kalinga. 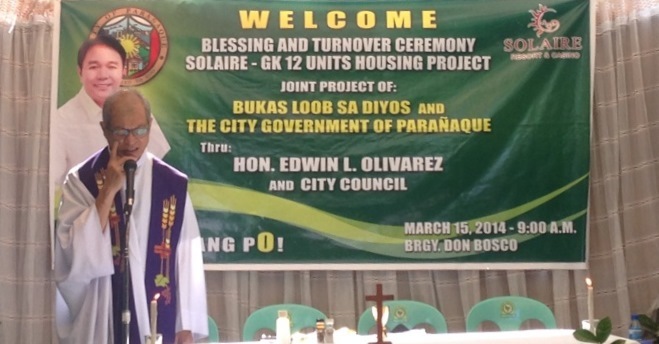 With this collaboration between BLD, Solaire, GK and the Paranaque local government unit (LGU), 12 families were given new homes last March 15, 2014. 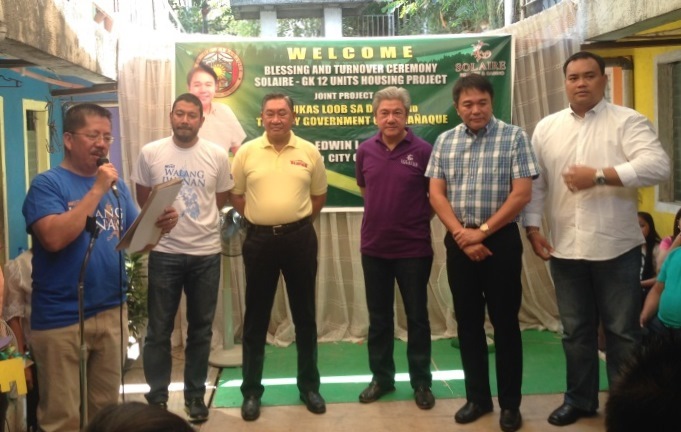 The turnover ceremony was attended by Mr. Donato Almeda, Director of Bloomberry Resorts Corporation, members of Bukas Loob sa Diyos, Mayor Edwin Olivarez, Chairman of Brgy. Don Bosco, Hon. Cho Villar, and Mr. Luis Oquiñena, Executive Director of Gawad Kalinga. Rev. Fr. Eligio Santos, SPB celebrating the holy mass. Dance numbers from the community kids. 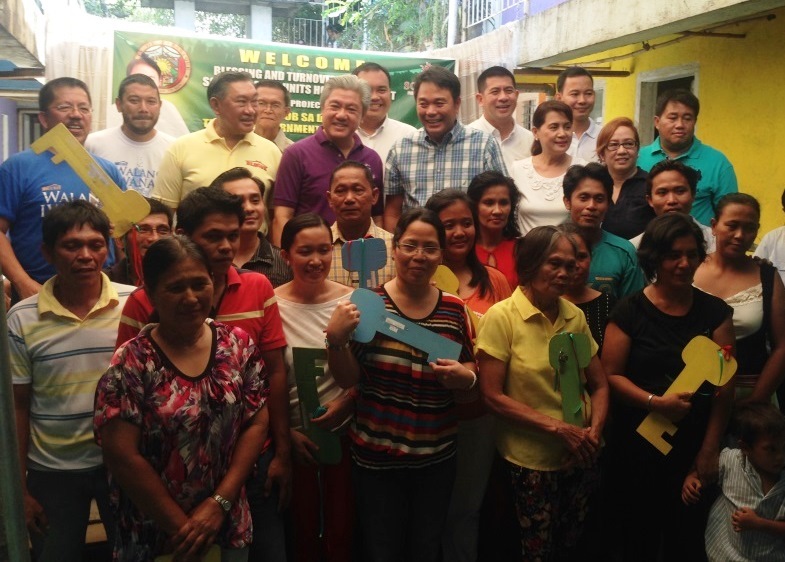 The event started with a Holy Mass followed by the blessing of the homes and various messages from the representatives of the different sectors. Of course, the ceremony wouldn’t be complete without the performances from the community.